Geissele Automatics Super Semi-Automatic Enhanced SSA-E Two Stage AR-15 Trigger .154"
The Geissele SSA-E trigger installs in your lower receiver in the same way that a Mil-Spec trigger is installed. It uses a standard .154” trigger and hammer pin so it will fit in any Mil-Spec stripped lower receiver. It features a curved trigger bow that helps to keep your finger in the same spot while pulling the trigger, allowing for better trigger control and accuracy. Not only does it work in 5.56 or .223 AR-15 rifles, but it works in .308 AR-10 pattern rifles. Each trigger is precision EDM wire cut from heavy duty tool steel with a durable black finish giving you the reliability and durability you can depend on. When building or upgrading your AR-15 rifle, one of the most important components is the trigger. There are many triggers out there so you must ask yourself what are you are going to do with the rifle. 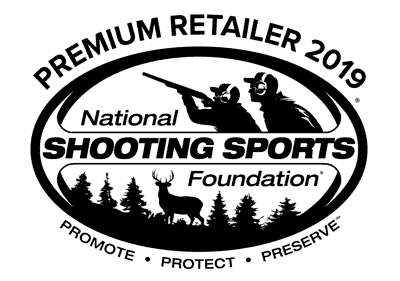 Are you going to use it for plinking at the range, home defense, competition, or long-range precision shooting? The answer of this question will help you to understand what trigger you will need. 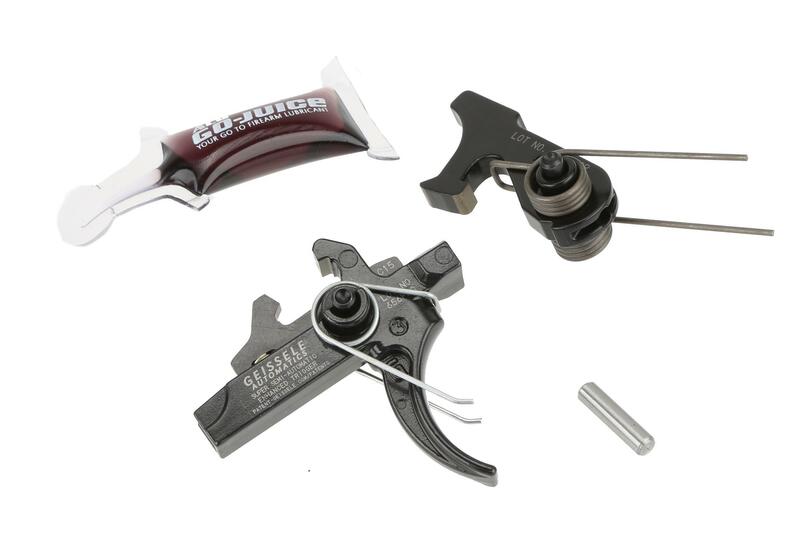 The Geissele Automatics Super Semi-Automatic Enhanced (SSA-E) Trigger is designed to be used in each of these scenarios. It is built off of the chassis of the Geissele SSA Trigger while providing the enhanced trigger control, weapon accuracy, and reliability of a two-stage trigger. It features a reduced first and second stage pull weight and crisp, consistent break so that you can build muscle memory to know exactly when the shot will be fired every single time. This results in a trigger that is excellent at long range shooting and is still reliable enough to be used in a home defense or duty gun. The Geissele SSA-E is a great do-it-all trigger that will enhance the capabilities of your AR-15 substantially. Geissele Automatics manufactures confidence, offering quality triggers and components for the warfighter and competitor. They were established in 2004 with the mission to build the highest quality, reliable triggers for competition and their first trigger, the Hi-Speed National Match trigger, was so popular that they were asked by the Department of Defense to produce a select-fire trigger for the United States Special Operations. Again, it was a success and Geissele decided to bring a semi-automatic version to the civilian market for law enforcement and personal protection. Imagine a fire control system so well engineered that when called upon, it responds like a Ferarri; Geissele is THAT tool!! And the Primary Arms, talk about the best customer service & fastest shopping. I placed an order from Los Angeles at 3:30 am. I get an email within two hours that it’s been shipped! Whaaaaaat?! Amazon needs to learn from Primary Arms. If you’ve read down this far, than let me say this: a weapon without Geissele trigger system is a gamble not worth taking. <br>Buy this trigger!! The end! Perfect trigger for the SPR/DMR rifle build. Smooth take up (slack), extremely light break, crisp reset. Easy install backed by an top-notch company and great customer service from both PA and Geissele. 10/10 would buy again. I put my Geissele SSE two stage in to day. It's the best trigger ever. Put in a S&W MP15 5.56.It broke on the first stage at 2.1 and last one at 1.4.Very clean and crisp all the way throw. I well buy another. Love it. I'm an Idiot for not buying this sooner. Best trigger I've ever owned and I own several to end triggers. <br>10 minutes to install and pull is smooth as glass with 1st stage at 2.2 lbs and 2nd stage 1.1 lbs. <br>This trigger is better than you could ever imagine. <br>If you want all you can out of your gun, get this trigger. I wondered for the longest time if it's really worth spending this kind of money for a trigger. And as many others have said, yes it is.<br>I got this for my new 300 Blackout build and also used with my old proven 556 upper.<br>My groups have tightened up by almost 1/2 inch at 100 yards and I have never experienced such an amazing control over my firing pattern!<br>Incredibly light 1st stage and then a nice and perfectly clean brake at 2nd stage.<br>This is going into all of my future builds and into my old rifles. Don't hesitate and be sure that your money will be well spent on this or any other Geissele trigger! I got this as an upgrade for my DPMS G2 308. The stock trigger seemed ok but I wanted a two stage for hunting. All I can say is what a difference! My accuracy improved dramatically at the range and I can't wait to get it out in the field. I will be buying another one for my AR 556! This is a great trigger & it's a bonus when you can find them on sale @ Primary Arms - (Great Company). I have (2) of the SSA-E triggers installed in AR type rifles. This is one of the best ways to improve your weapon & make it more accurate. If you are a new shooter take care & practice with the new Geissele product because they are so much lighter than the milspec triggers, but they are very predictable. Picked up the SSA-E trigger and just finished installing it. Extremely easy and everything works as it is supposed to. Feels amazing when dry firing can't wait to make it to my outdoor range and put lead down range. I bought this then went on sale. Still a nice trigger it has a hard reset and even though it has a nice 1st stage the 2nd even though it says 1.2 lbs. feels tougher/heavier than my Timney 3lb 1 stage but I like how it takes up the 1st stage and breaks on the second. Total control of how/when you want to send it. This trigger in conjunction with a Wilson Combat Super Sniper 20" barrel PRS stock and Vortex 2.5-10x32 Viper HS LR XLR recticle Black Hills 77grn IMI Razor core 77grn Hornady 75grn Superformance equals groups 1" or even less on good day @ 300 yds consistent accurate hits out to 1100yds and a lot of dead coyotes and crows. I bought the Geissele SSA-E trigger from PA 6 months ago and it really makes a difference. This trigger is way better than the LWRC standard AR trigger. If you don't already have one of these for your AR consider getting one. The trigger is extremely light and the SSA or G2S might be better a choice if you like a slightly less crisp trigger. I picked it up with the Geissele SuperSCAR trigger with the Black Friday deal. Thanks PA! I have owned a few different triggers ( wilson combat JP enterprises CMC) but after installing this trigger I will never buy anything else. The two stage is nice and crisp you know exactly when you are about to fire a round off. Easy to install and works like a dream. I ordered this on 1/7/16 Primary Arms sent it out the next day. It arrived today 1/11/16. I purchased this to replace my current trigger (purchased the Spikes Tactical Enhanced lower parts kit). So far it is great. Never installed the previous trigger due to some problems with fitting (had a local gunsmith do it who had to trim the sides of the hammer a tiny bit). This trigger took me about 10 minutes install (I watched every youtube video out there on how to install it). Everything sat correctly and feels amazing. I have yet to put any rounds through it but if I run into any problems I will edit my review. Definitely going to recommend this to any of my friends currently building AR15 / AR15 variants. Not the first time I have done business with primary and will definitely not be my last. Best trigger I've found. 3rd one purchased for a third build...will be putting one all future builds. Purchased a Geissele ssa-e 2 stage trigger!! Great prices and it was at my door in 2 days!!!! Awesome customer service! I'm sold and you will continue to have my business!! Thanks, Paul B. P.s.love this trigger! I've tried other brands but nothing beats Geissele triggers imo. I have the SSA-E installed in several builds. Very fast delivery! Easy to install. Paper Instructions are included and there is also a u-Tube video that shows exactly how to install.Very good product - Would purchase from PA again. Probably the best and easiest to install trigger being sold! Awesome product at a great price with lightning fast shipping! 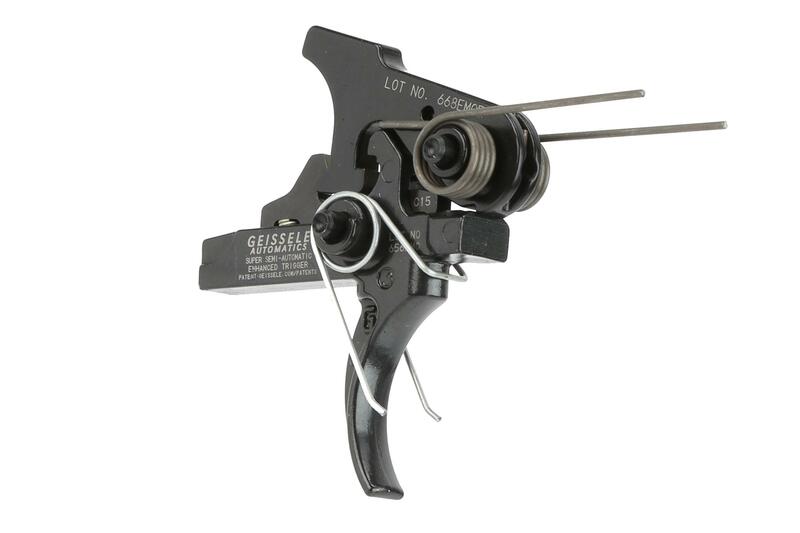 Best price on this trigger.I always check Primary Arms first before buying parts elsewhere. Always satisfied with purchase and fast shipping. Get one, $$$ well spent. Awesome trigger and great customer service from Primary Arms. Ordered Friday, had it in my hands Monday. Outstanding service on communication when Ive ordered several different purchases over the past few years. Delivery and satisfaction of over all expierence was top notch! Awesome trigger . Only 100 round down with it , so far so good.And as always PA is greatWill buy again. Price goes up, quality goes down. 'Murica! $230.00 dollars for one coated spring and one uncoated? ?